Share Easter with your friends! 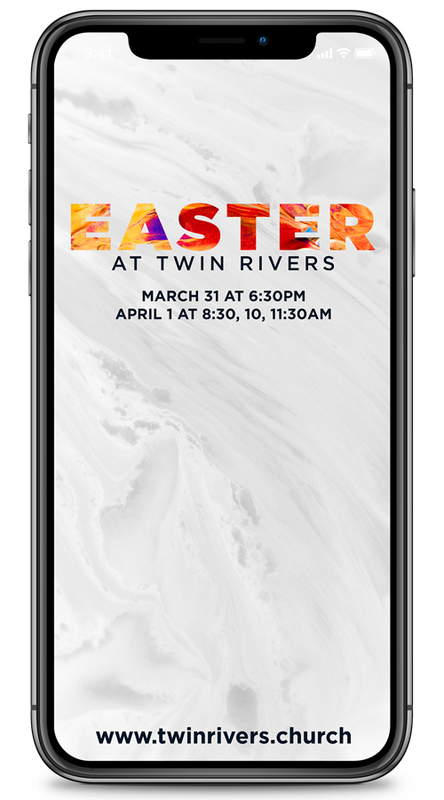 At Twin Rivers, we want you to have a powerful Easter experience. We have created multiple service times and locations to make sure that there is an option that fits your busy schedule. When you come to any of our campuses, you’ll love the friendly atmosphere, inspiring music, real stories of life change and a message of hope! We even have special environments for your kids to learn about God on their level. For more info on our TR Kids Ministry click HERE.